When fall comes around I crave all things pumpkin and I could eat chili every day so why not combine the two?? 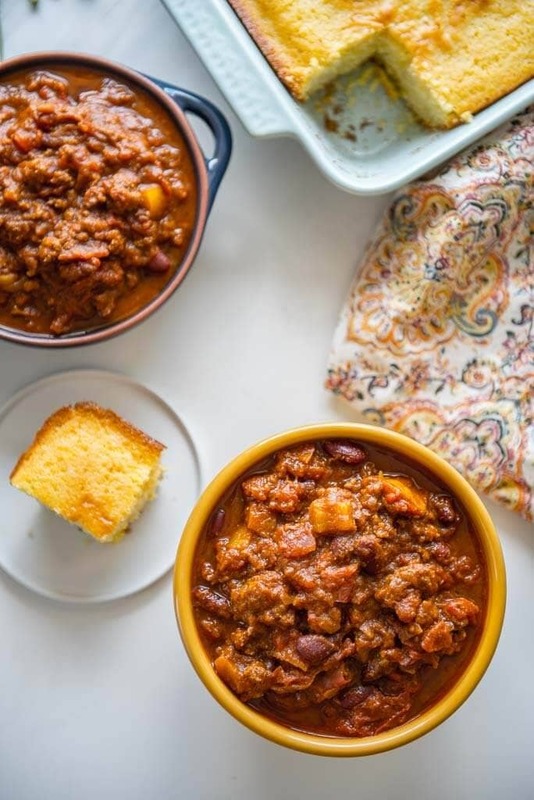 This Slow Cooker Pumpkin Chili is easy, healthy and will satisfy your craving for a hearty bowl of chili with a hint of pumpkin. Pumpkin may seem like a weird ingredient for chili because we typically see it in pumpkin breads, lattes, cookies, etc. Did you know that pumpkin is packed with health benefits? What are the benefits of eating pumpkin? It has the powerful antioxidant, beta carotene. There are many health benefits for increasing foods rich in this antioxidant. Pumpkin is an excellent source of fiber and potassium. Pumpkin pulp and seeds are rich in vitamin C and beta carotene which can boost immunity. Pumpkins are so much more than just delicious… they are healthy for us, too! I’ll be honest, it’s not likely I’m going to get a baking pumpkin and cook it up as often as I will buy a can of it at the grocery store. Canned is much easier and convenient for me. I love fresh foods, but in this case I found a great article from Mayo Clinic that explains why canned is totally ok if you aren’t able to get fresh pumpkins. 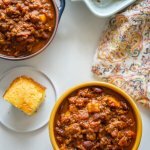 Why do I love this Pumpkin Chili recipe? I make it in my multi-cooker which means I only dirty my slow cooker, a cutting board a spoon and a knife! If you use a multi-cooker use a wooden spoon so you won’t scratch it. It’s super simple to make. It can cook all day and I come home to a delicious pot of hearty Slow Cooker Pumpkin Chili and that makes me happy! 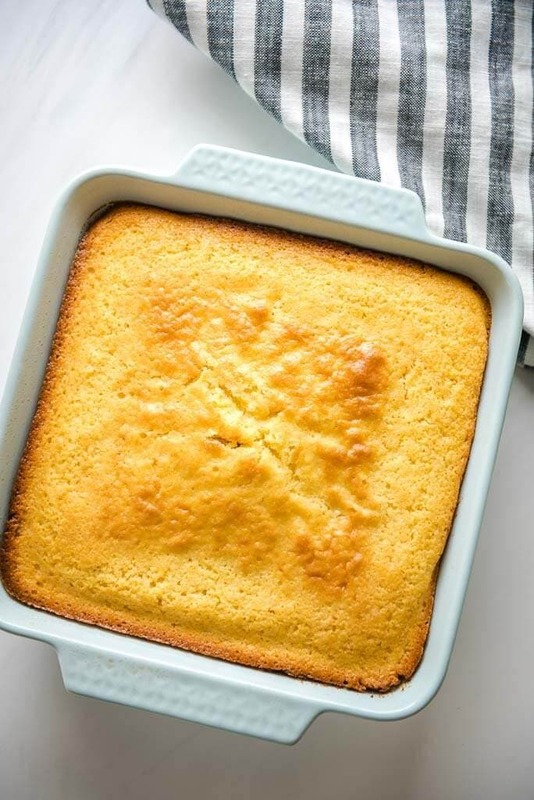 My oldest son told me he didn’t like this recipe… he LOVED it. What Mom doesn’t love to hear that?!? 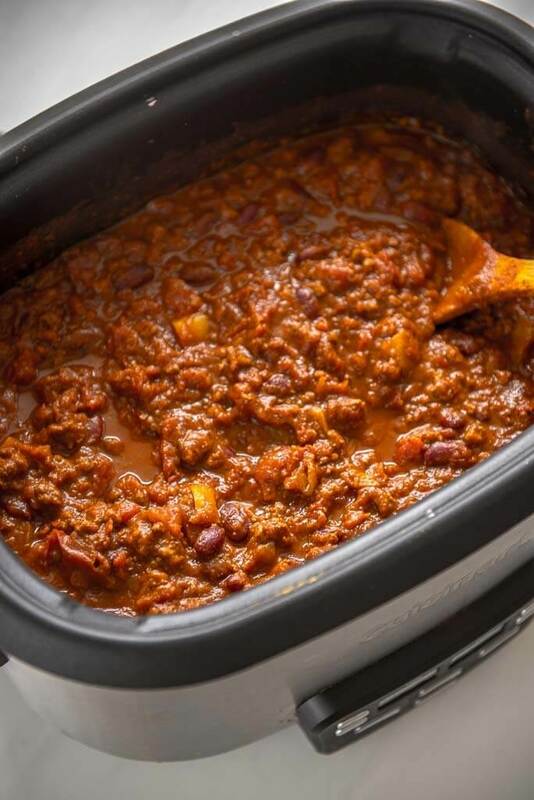 I would have no objection to eating some variation of chili every single day in the colder months. 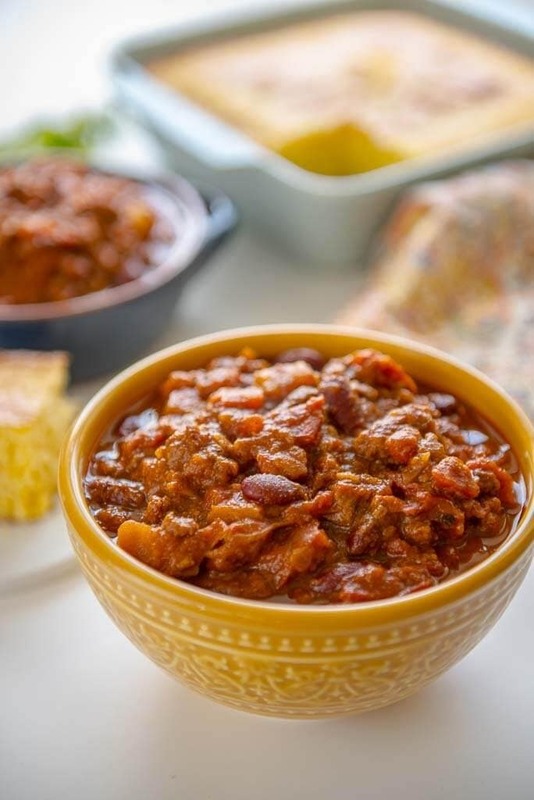 If you love chili like I do check out a few of my other chili recipes. 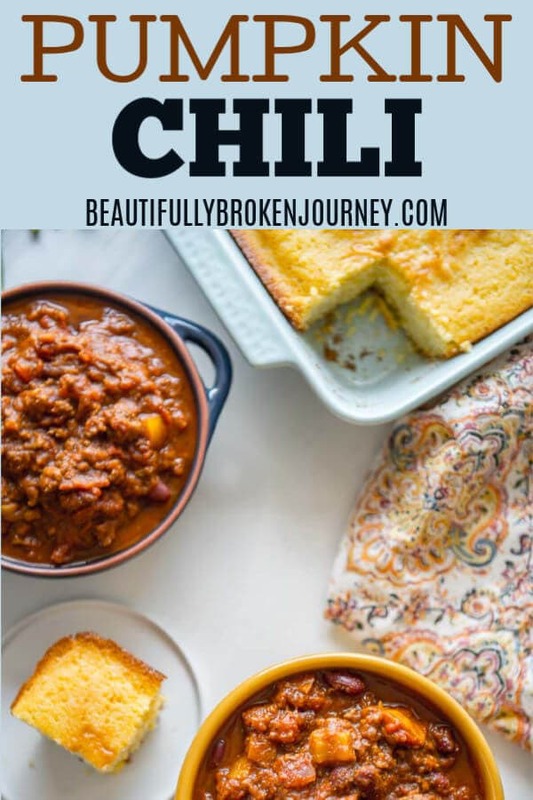 I also whipped up a “new to me” cornbread recipe to accompany this chili so check it out here! If you don’t have a multi-cooker for this recipe you can easily make this in your slow cooker as well. You will cook your pepper and onion in a skillet and add the ground beef once they are tender. Once your beef is cooked through transfer everything to your slow cooker with the remaining ingredients and cook until ready to eat (at least 3 hours). You can pin this recipe here! Heat olive oil in skillet or multi cooker and add diced onions and pepper until they are tender. Add lean ground beef and cook until done. Drain if desired. Add all remaining ingredients to the slow cooker including beef, onions and pepper. Cook on low for 4-6 hours or high for 3-4 hours. I cannot wait to try this!! !